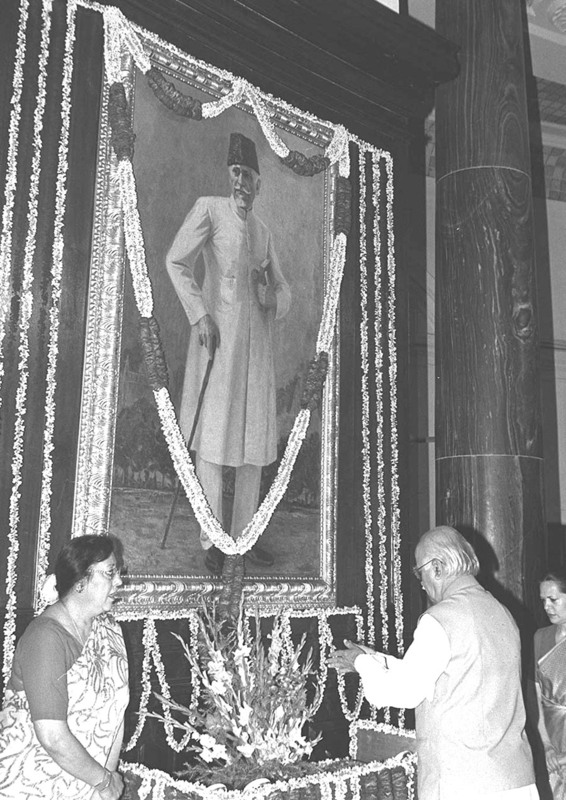 "Floral tributes were paid in the Central Hall of Parliament to mark the birth anniversary of Maulana Abul Kalam Azad on 11th November, 2000 in the Central Hall, Parliament House. Shri Suresh Pachouri, Chief Whip, INC, Rajya Sabha, Shri K.M. Khan, Member Rajya Sabha, Dr. Manmohan Singh, Leader of Opposition, Rajya Sabha, Shri Darshan Singh, ex-Member, Smt. Sonia Gandhi, Leader of Opposition, Lok Sabha, Shri L.K. Advani, Union Home Minister, Smt. 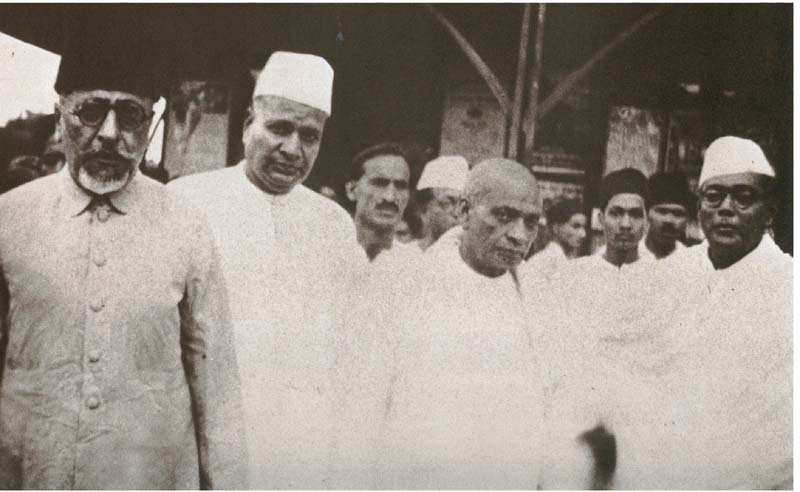 Najma Heptulla, Deputy Chairman, Rajya Sabha, are seen in this photograph (from L to R)." "The Union Home Minister Shri L.K. 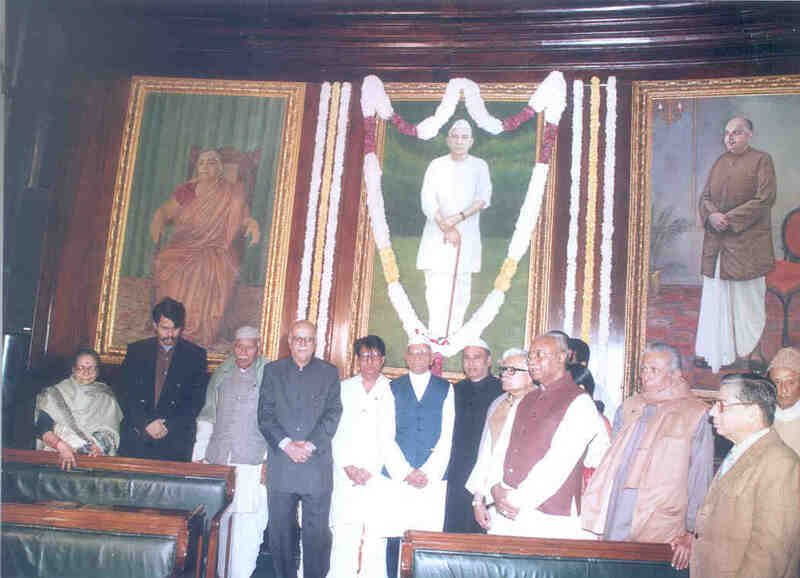 Advani paying tributes to Maulana Abul Kalam Azad on his 112th Birth Anniversary in New Delhi on November 11, 2000. The Deputy Speaker (Rajya Sabha) Dr. Najma Heptullah is also seen."